That’s a question I have been asked and debated at length over many years. 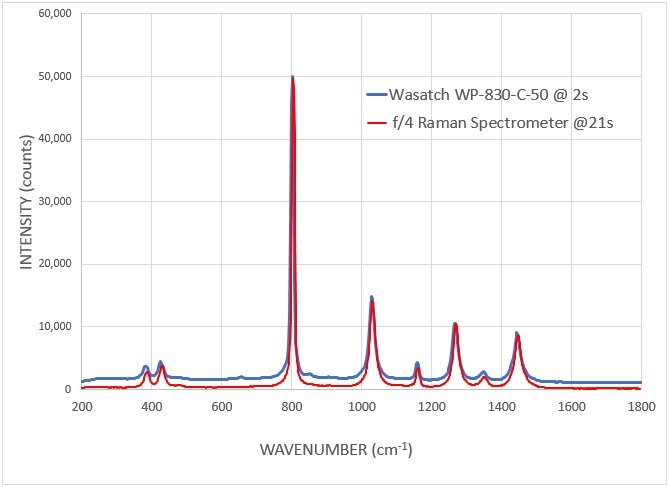 It was this question we set out to answer at Wasatch Photonics when we designed our new WP-series spectrometers for Raman, fluorescence, and VIS through NIR. 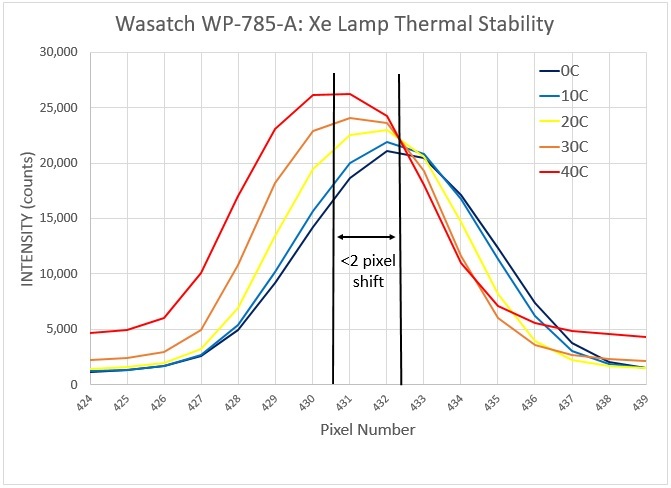 Our goal was to build a product with a robust opto-mechanical design, electronic interfaces that match use cases for academic, industry and OEM’s alike, and – most importantly – the ability to make those precious photons work for you through elegant optical design. 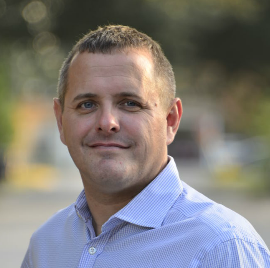 As such, we have combined our experience and skills with what the market requested to deliver on these goals with our new WP-series spectrometers. In the content to follow, you will see the competitive data to support our performance claims, and a little of how we have gone about it. 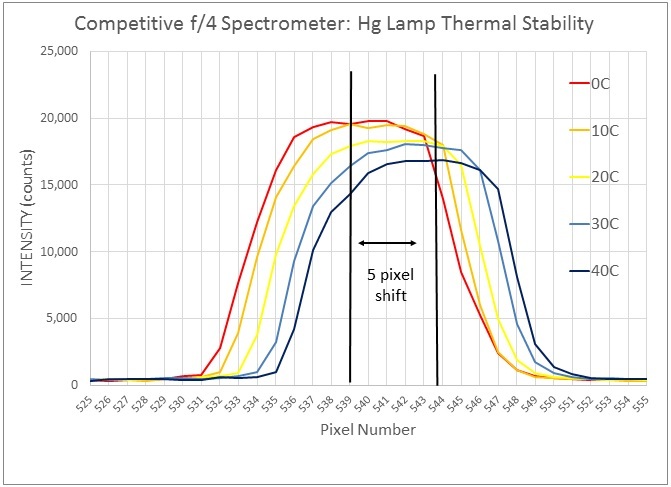 Thank you for sharing a little of our excitement in regards these new products – we have similar tech notes for our NIR and fluorescence product lines and will be sharing application notes in our newsletter. We always appreciate your input, so please let me know personally if you have any comments or questions. So Why wait? 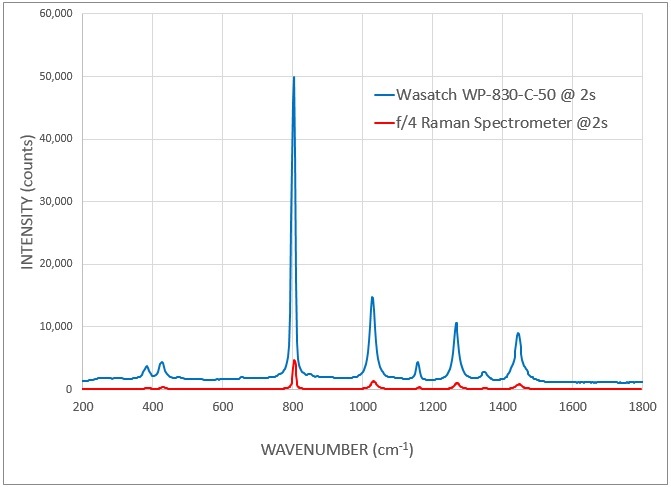 Take high quality spectra over 10 times faster with Wasatch Photonics! 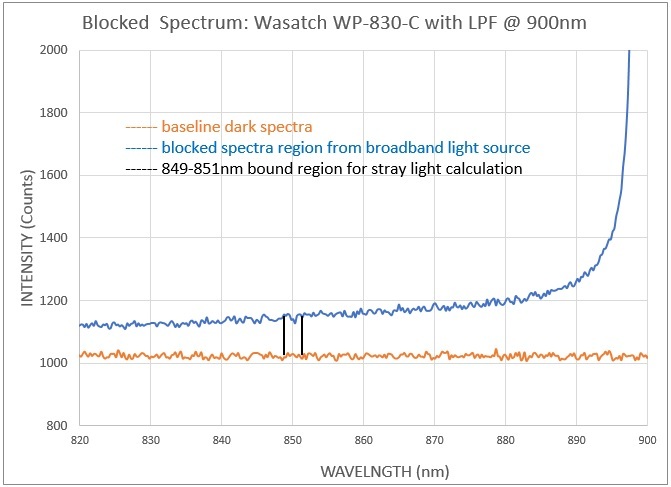 Photons are precious in many applications of spectroscopy, so Wasatch Photonics has designed and built an optical bench that allows you to capture, keep and detect more photons so you can push the boundaries of your science just like we have pushed the boundaries with our designs. This increased sensitivity allows you to significantly improve the limit of detection (LoD) of your experiment or instrument. 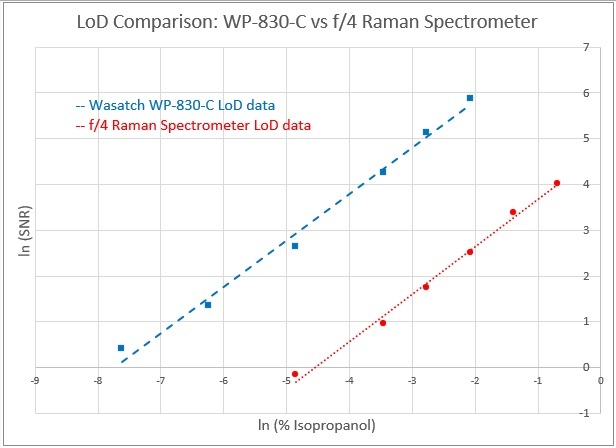 The graph below shows the WP-830-C LoD for Cyclohexane for a SNR of 3 being 0.13% whilst for the competitive f/4 unit the LoD is 3.06%. This is >20x improvement of LoD vs the competition allowing you to see lower concentrations of samples than ever before without compromising on size or cost. 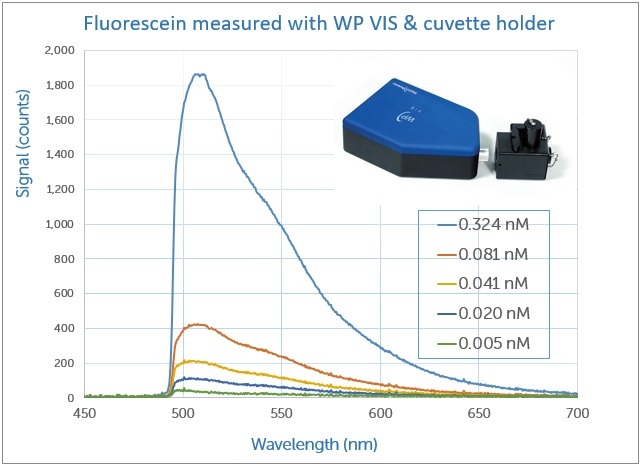 We’ve demonstrated that this sensitivity also translates to fluorescence in a previous tech note, in which the WP VIS was used to measure fluorescein easily at concentrations as low as 5 pM at acquisitions of just 50 ms. See the full experiment. So why compromise? 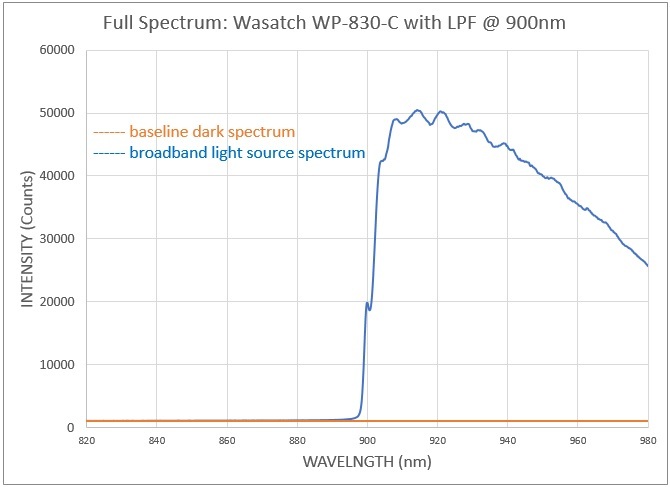 With lower inherent stray light Wasatch Photonics Raman spectrometers give you superior performance. 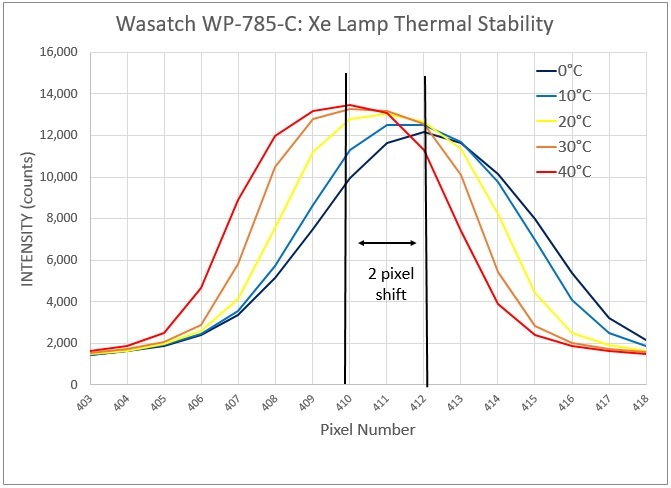 To validate our impressive thermal stability, we placed our WP 785 series Raman spectrometers in our thermal chamber and measured the atomic emission spectrum of a Xe light source as a function of ambient temperature. In addition to pixel shift, peak symmetry determined by the R2 of the peak is an important factor in spectral and library matching algorithms. 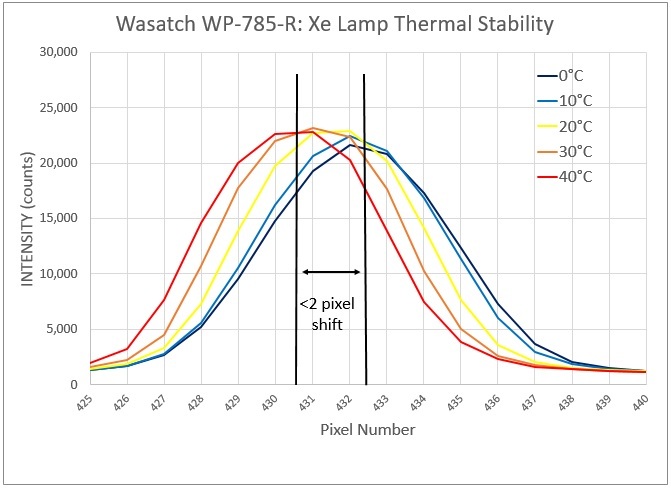 Since the Xe source peak shape suffers limited distortion during thermal cycling, this provides an additional benefit of the robust of opto-mechanical design of the WP-series spectrometers.